Plans for a pipeline to carry oil from Prudhoe Bay provided the impetus to settle long-standing land and compensation disputes with the Native people of Alaska. 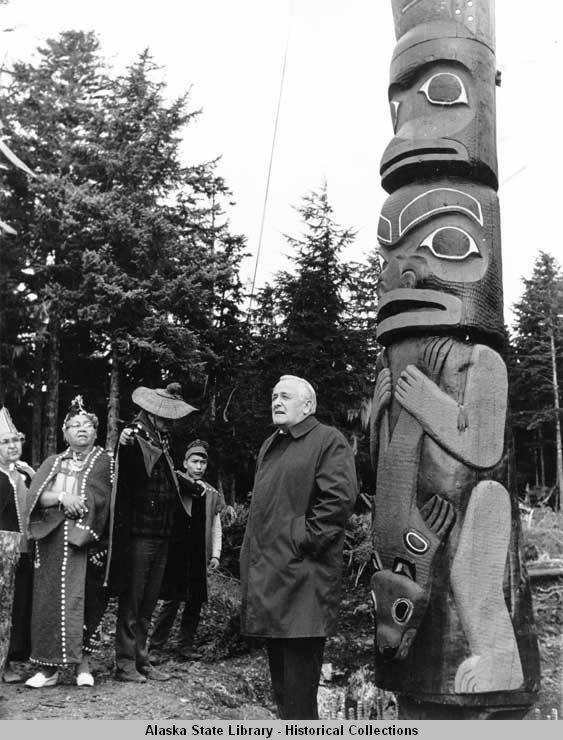 In 1971, President Nixon signed the Alaska Native Claims Settlement Act, which provided nearly 44 million acres of land and one billion dollars to the newly established Regional Native Corporations, and helped to clear the way for the construction of the Trans-Alaska Pipeline System (TAPS). In 1972, preparations for construction of the pipeline dominated much of the session. Alaska lawmakers passed the Right of Way Leasing Act and the Alaska Pipeline Commission Act, and created the state Department of Environmental Conservation to address challenges that would be posed by pipeline construction. Anticipating the need for additional housing, the Legislature created the Alaska Housing and Finance Corporation, a public corporation, to provide affordable housing. Voters ratified all four amendments 1972. In other business, lawmakers enacted the Village Safe Water Act and began contributing state resources for the construction of water projects. The Legislature also created a number of new entities including the Legislative Budget and Audit Committee, the Alaska Police Standards Commission, the Alaska Historical Commission, the Office of Child Advocacy, and the Department of Community and Regional Affairs. Dog mushing is established as the official state sport. On January 3, 1971, Alaska's first broadcast television station, KTVA, makes history by airing the first live satellite TV broadcast from the Lower 48 to Anchorage viewers-the NFC Championship football game between the San Francisco 49ers and the Dallas Cowboys. The 26th Amendment to the U.S. Constitution is ratified, lowering the voting age from 21 to 18. President Nixon signs legislation officially banning cigarette advertisements on television and radio. United States and Soviet Union sign Strategic Arms Control Agreement (SALT I). Police arrest the "White House Plumbers" in the process of burglarizing and planting surveillance bugs in the Democratic National Committee offices at the Watergate Hotel. President Nixon ends the 21-year old embargo against trade with China.